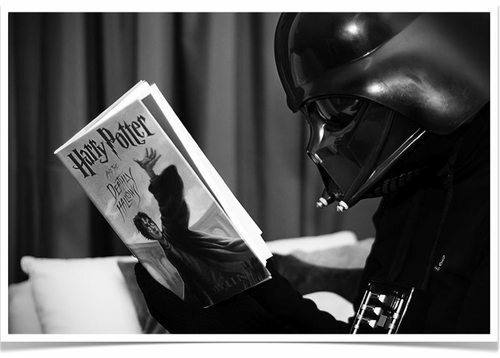 According to various reports coming in via email Lord Vader has been seen consuming one Harry Potter volume per week with plans to watch all of the Potter films once he's finished the series. Sources indicate that Darth Vader is intrigued by the powers exhibited by characters operating on the dark side. More to follow.